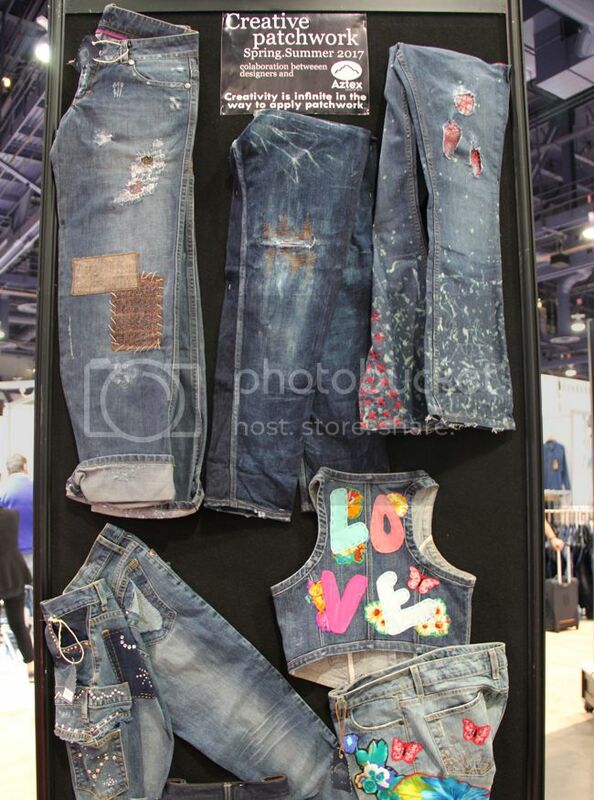 Since I love denim, a visit to the Sourcing area of the trade shows at Magic Market Week is never complete without a look at the Aztex Denim trend galleries. 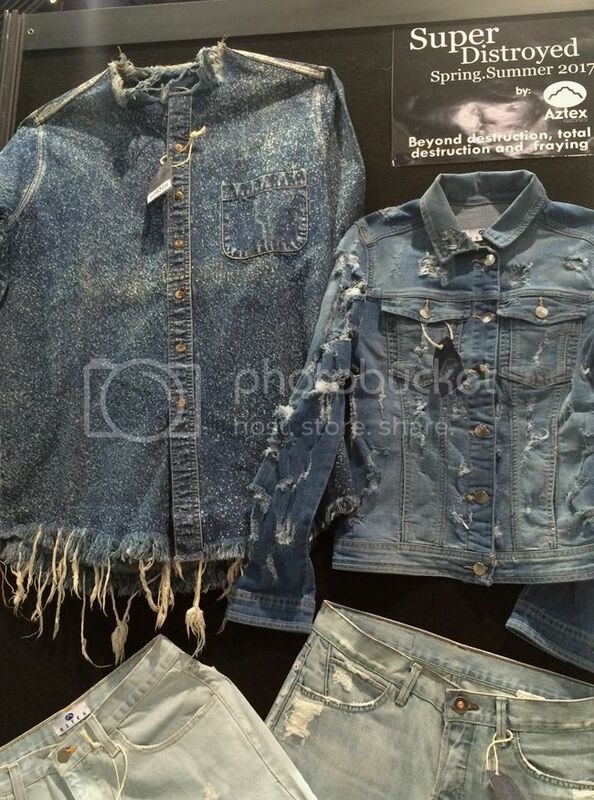 They always display an interesting assortment of denim, giving a hint of what's to come for spring/summer 2017. As someone who has too many pairs of jeans to count, I'm always looking for new sources of denim inspiration. If you like denim, then you're in luck. In this post, I'm highlighting the top seven denim trends for spring summer 2017 as presented by Aztex. July 8, 2017 update - See four Women's trends in this spring summer 2018 fashion forecast on Fashion Trend Guide. March 7, 2017 update - See 6 more key spring/summer 2017 denim trends for Women on Fashion Trend Guide. Frayed edges, distressed finishes, and destroyed details lend a casual look to denim. The 3x1 Lima Laser Fringe jean is a great example, as is this fringe hem shirt. 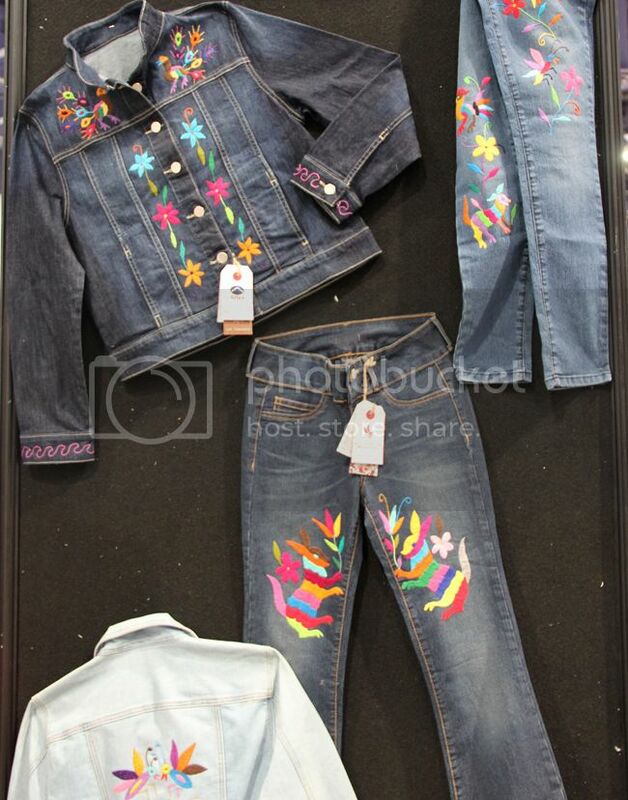 In a nod to the '70s, denim takes on a the role of creative canvas for artful embellishments. 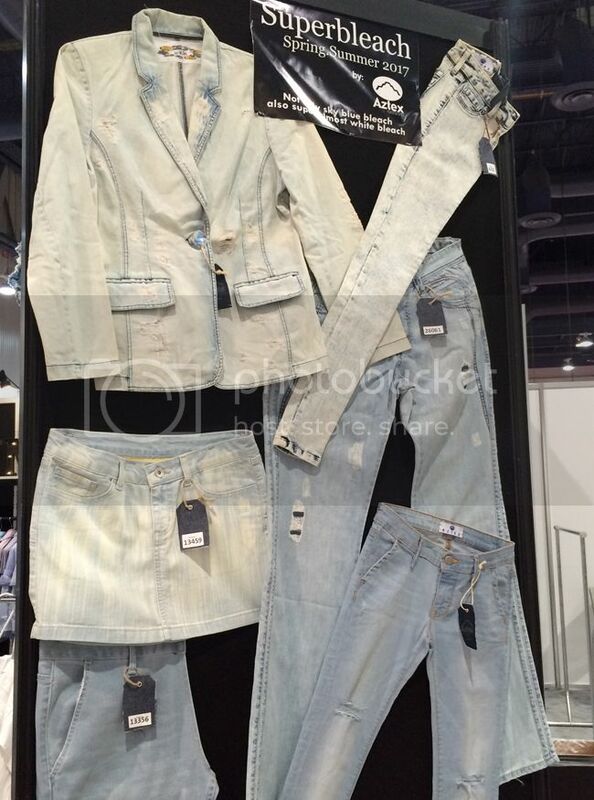 Pale shades lighten up these denim looks for spring and summer. Hand embroidery adds a personal touch to denim staples. I'm eyeing this pretty pair of embellished jeans at Nasty Gal. 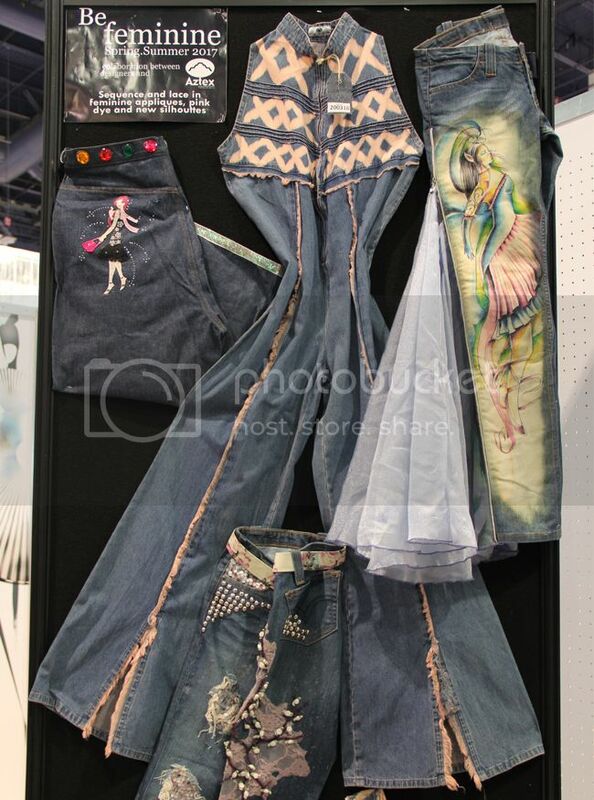 Lace, fairies, pearls, and flashes of pink give a feminine look to jeans. 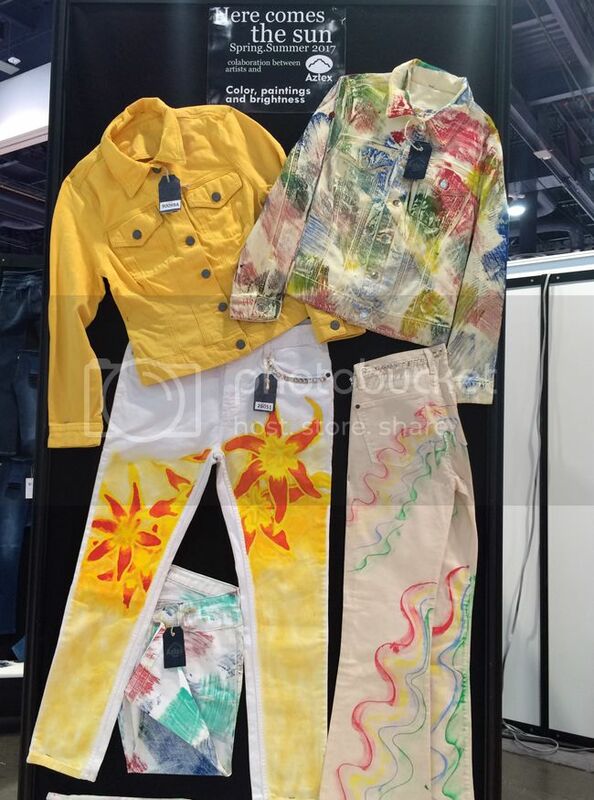 Vibrant yellow and rainbow brights inject life into jackets and jeans. What's old is new. 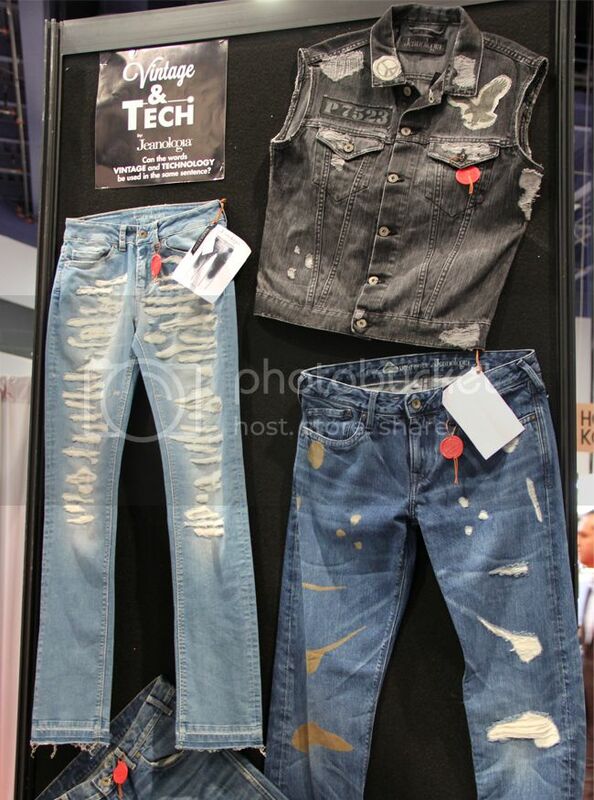 High tech treatments (such as digital prints) are used on denim for a distressed/vintage look. For more trend info, see my top seven fashion trends for Juniors for F/W '16/17, my top ten women's trends for 2016, seven footwear trends for spring and fall 2016, and four women's trends for spring summer 2017. Catch up with me on Instagram, Facebook, Twitter, or Snapchat @thekeytochic. See my Pinterest boards for more trend inspiration and photos. January 20, 2017 update - See the top 9 fashion trends for 2017 in my recent report.